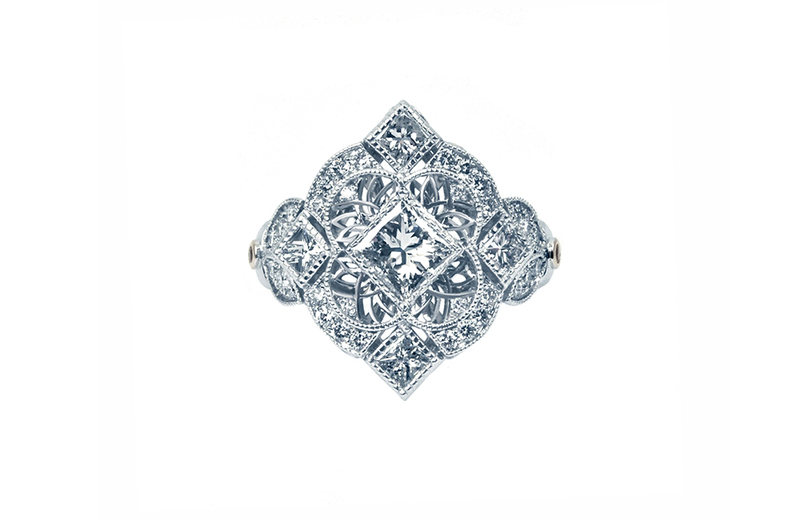 This stunning bespoke engagement ring was designed with the bride. All princess cut diamonds are set kite style. 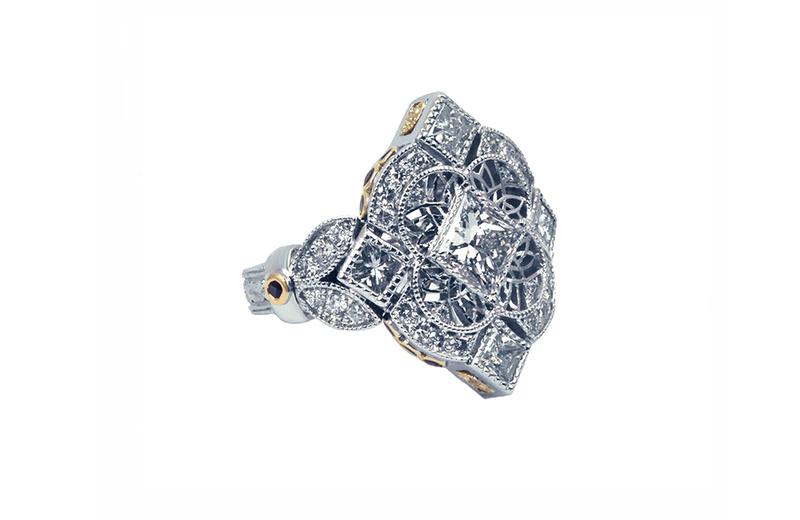 Milgrain and elements of surprise around every corner and curve of this dazzling ring. Sapphires to symbolize her Navy husband and 18k yellow gold motif on the inside. 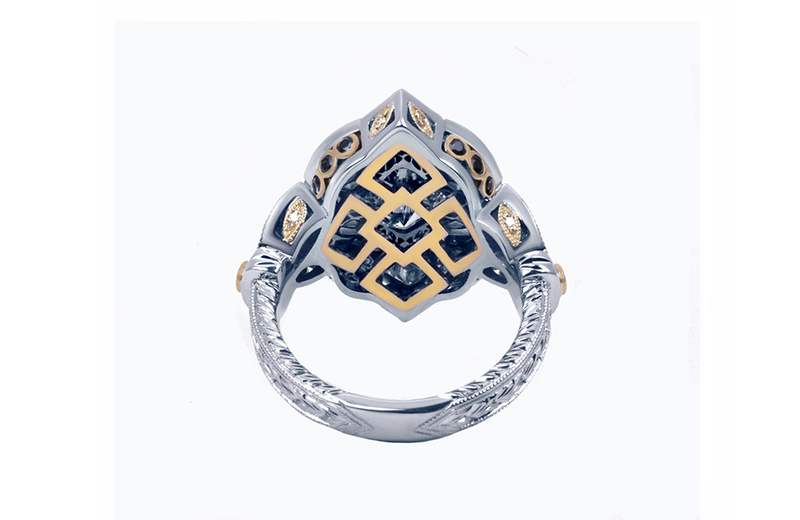 A ring made with a queen in mind.